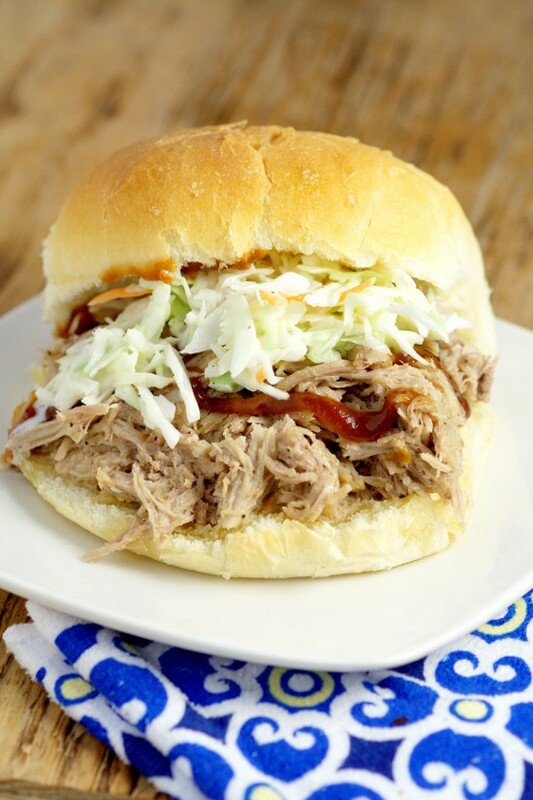 Easy, tangy Slow Cooker Southern Pulled Pork cooked effortlessly in the Crockpot. 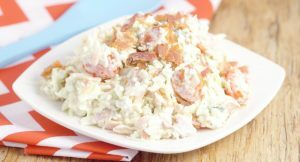 Top with creamy coleslaw for a bit of sweet crunch and a true Southern experience! This Slow Cooker Southern Pulled Pork is one of our family favorites, so I wanted to make sure to share it during our Crocktober series! Mr. Gracious’ grandpa makes a various assortment of delicious meats, and has a special barbecue sauce concoction. Mr. Gracious loves his grandpa’s Southern cooking, so I wanted to be able to make some at home. The key to making Southern meats is vinegar. 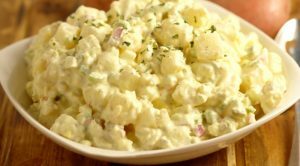 It adds a very distinct tangy flavor, but it also tenderizes the meat making it moist and juicy and delicious. This Slow Cooker Southern Pulled Pork recipe calls for apple cider vinegar, and the resulting sauce is very tangy with just a tiny bit of spice. 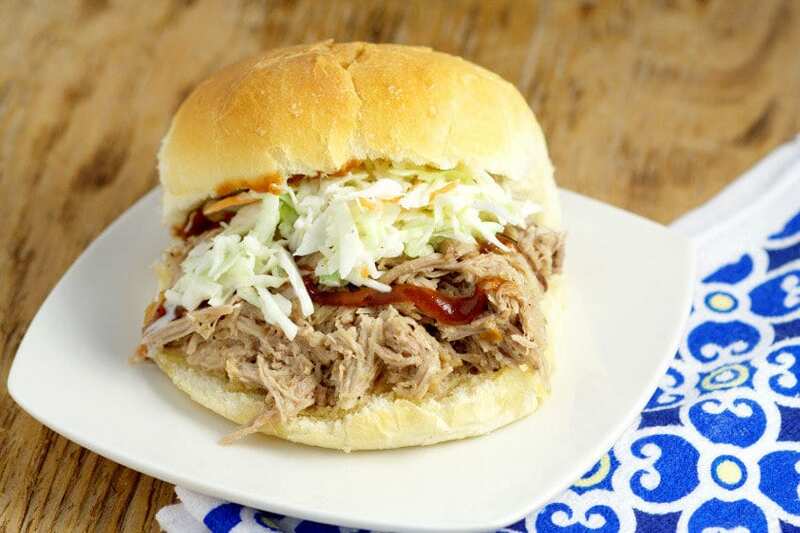 I love topping my Slow Cooker Southern Pulled Pork sandwich with a little bit of creamy sweet coleslaw to add some crunch and a bit of sweetness to balance the tangy flavor. I hope you enjoyed our Crockpot series this month! We still have one more finale post tomorrow, so stay tuned! And check out our Crocktober Main Page for more delicious Crockpot recipes! Season pork roast with salt and pepper. Set aside. Place vinegar, brown sugar, hot sauce, and red pepper flakes in the slow cooker. Stir to combine. Place seasoned pork roast in the slow cooker with the liquid mixture. Cover Crockpot and cook on Low for at least 8 hours (or up to 12 hours). Remove pork roast from liquid and shred using a fork. Stir the remaining liquid in the slow cooker and remove 2 cups to keep. Discard the remaining. Place the 2 cups of reserved liquid and shredded pork back in the Crockpot and turn to Warm until ready to serve. Serve warm on buns with sweet, creamy slaw. Nutrition info includes 1 serving of meat with 1 hamburger bun. No extra sauce or coleslaw topping included! 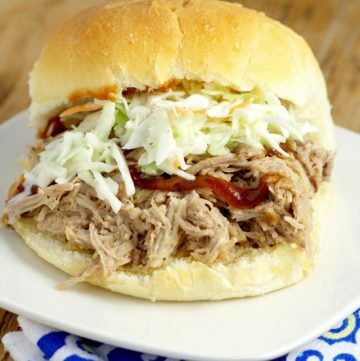 Did you like this Slow Cooker Southern Pulled Pork recipe? Find more on my Dinner Ideas and Crockpot boards on Pinterest! Some of the best barbecue I’ve ever tasted. It reminds me of Holcomb’s Barbecue in middle GA. So many are tomato based but this is what I grew up eating. 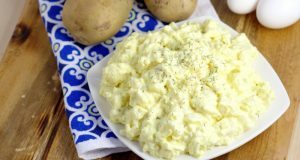 I’ve shared your recipe with others who love it as well.